A manufacturer of personal care and horse grooming products is expanding its operations to a second facility in the Forks Township industrial park. Straight Arrow Products Inc., makers of the original Mane ‘n Tail products, has plans to renovate and expand a 92,000-square-foot existing building in the industrial park. When completed, the site will total 200,000 square feet at 900 Conroy Place. 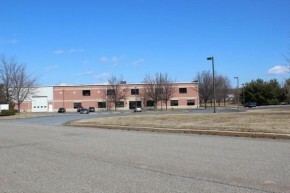 The Forks location will offer additional space than the company’s current facility at 2020 Highland Ave. in Bethlehem Township, Pennsylvania, which will remain in use. Forks Zoning Officer Tim Weis said supervisors last month granted Straight Arrow conditional final approval for the project. The company plans to break ground in a public ceremony 2 p.m. Thursday and open in fall 2015. The new location will add about 30 jobs for a total of 100 employees at both sites, said Devon B. Katzev, president of Straight Arrow Products. “We’re really happy to be bringing jobs to the area,” he said in a statement. Township facility will remain mostly for office space. Katzev said the expansion will be beneficial for the company. The company began in the 1970 by Philip and Bonnie Katzev, the parents of Devon Katzev. The couple had lived on an Arabian horse farm in Pohatcong Township and created the original Mane ‘n Tail shampoo and conditioner as a solution for for their own horses to achieve fuller, thicker manes. The couple wanted something that counteracted harsh cleaning products on the market at the time, Katzev said. To date, the company has more than 60 formulas, and most of the production will be moved to the new Forks Township facility.